Perrierite-(La): Mineral information, data and localities. 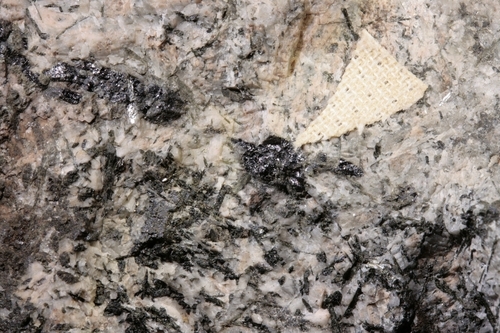 Originally reported, without prior approval, from Buer, Bjørkedalen, Porsgrunn, Telemark, Norway, by Segalstad & Larsen (1978) (in syenite pegmatites, associated with aegirine, loparite-(Ce) and microcline). 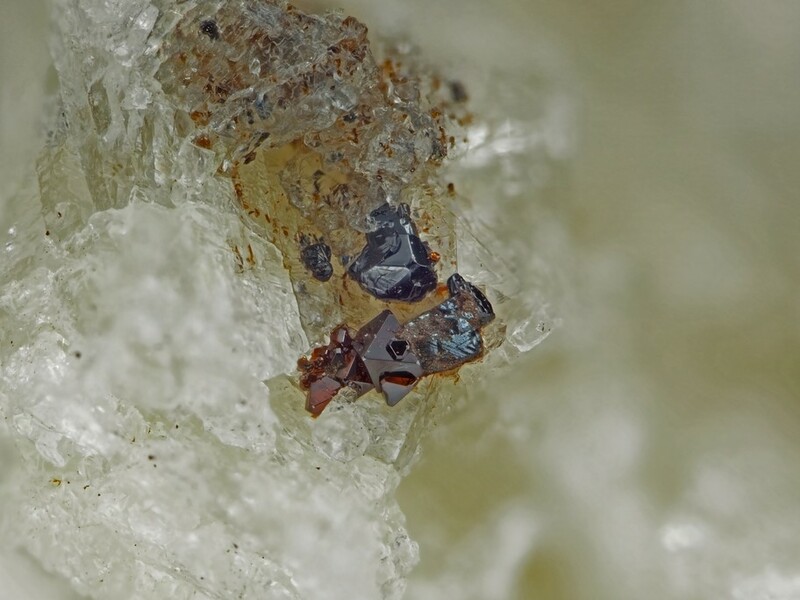 Eifel material: isolated prismatic crystals up to 0.5 x 1 mm in size. 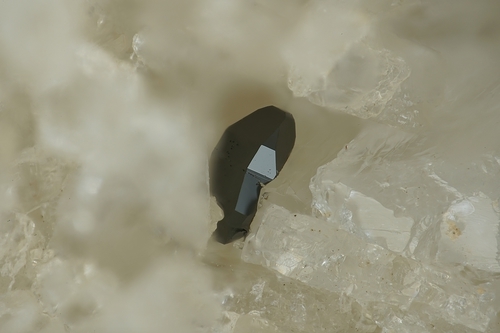 Norwegian material: Single crystals to 7mm (metamict). Norwegian material: a = 13.7, b = 5.66, c = 11.83 A, beta = ?. Iolated prismatic crystals up to 0.5 x 1 mm in size. Type specimen is deposited in the Fersman Mineralogical Museum of the Russian Academy of Sciences, Moscow, with registration number 4059/1. Segalstad, T.V., Larsen, A.O. (1978) Chevkinite and perrierite from the Oslo region, Norway. American Mineralogist: 63: 499-505. Calvo, C., Faggiani, R. (1974) A re-investigation of the crystal structures of chevkinite and perrierite. American Mineralogist: 59: 1277-1285. Chukanov, N.V., Blass, G., Pekov, I.V., Belakovskiy, D.I., Van, K.V., Rastsvetaeva, R.K., Aksenov, S.M. (2011) Perrierite-(La) (La,Ce,Ca)4Fe2+(Ti,Fe)4(Si2O7)2O8 - a new mineral species from volcanic region Eifel, Germany. Zapiski RMO (Proceedings of the Russian Mineralogical Society): v. 140: №6: pp. 34-44. Chukanov, N.V., et al. (2011): Perrierite-(La), IMA 2010-089. CNMNC Newsletter No. 9, August 2011, page 2537; Mineralogical Magazine, 75, 2535-2540; Chukanov, N.V., Blass, G., Pekov, I.V., Belakovskiy, D.I., Van, K.V., Rastsvetaeva, R.K., Aksenov, S.M. (2011): Perrierite-(La) (La,Ce,Ca)4Fe2+(Ti,Fe)4(Si2O7)2O8 - a new mineral species from volcanic region Eifel, Germany. Zapiski RMO, 140, 34-44. Segalstad, T.V. & Larsen, A.O. (1978): Chevkinite and perrierite from the Oslo region, Norway. American Mineralogist, 63, 499-505.